PUBG Mobile has become a phenomenon in the smartphone gaming ecosystem, and I myself am a huge fan of the game, but running the game on a low-end device results in poor graphics and heavy stuttering. That ends now, as PUBG Corp. has released a lighter and less resource-intensive version of the game called PUBG Mobile Lite on the Play Store, which is tailor-made for budget smartphones. 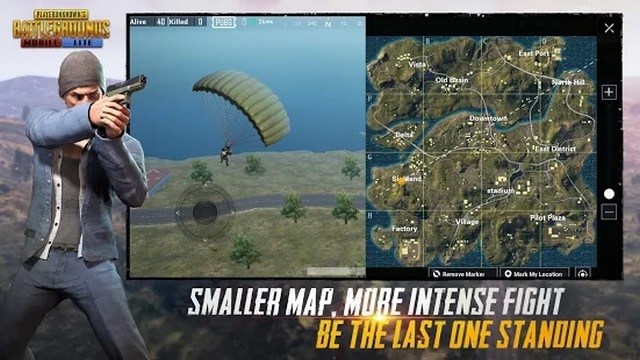 PUBG Mobile Lite claims to offer the same thrilling gameplay experience on low-end smartphones, without any lags or stutters. However, this is a soft launch because the game has only been made available in Philippines and there is no official information when it will be released in other regions. PUBG MOBILE LITE is here! Built with Unreal Engine 4, this version of PUBG MOBILE is compatible with even more devices and optimized for devices with less RAM without compromising the gameplay experience that has attracted millions of fans around the world. However, there are few differences between PUBG Mobile and PUBG Mobile Lite. First of all, the maximum number of players in a battle royale match has been reduced from 100 to 40 in PUBG Mobile Lite, and also, the size of maps is now smaller. Moreover, the average span of a match has been reduced to roughly 10 minutes, thanks to lesser number of players and more close quarter combat on the smaller map which measures 2×2 km in PUBG Mobile Lite. We tried the game and discovered that PUBG Mobile Lite only has the classic battle royale mode and has support for solo, duo and squad battle, however, Arcade mode is missing. Moreover, the option to tweak graphics settings is also absent. If you are based in the Philippines and are eager to play the game on your budget smartphone, you can download it from the Play Store. However, if you live in another country and want to try PUBG Mobile Lite, you can download the APK and the OBB file here. But do keep in mind that you’ll need a VPN and set your location to the Philippines in order to play the game.